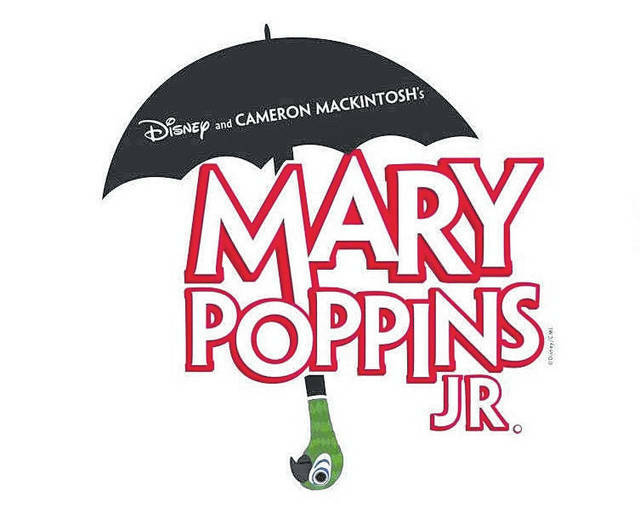 GALION — The Galion Performing Arts department will present “Mary Poppins Jr.” April 5, 6 and 7. All performances will take place at the uptown Galion Community Theater. This musical is based on the stories of P.L. Travers and the Walt Disney film. This year’s cast features 32 students and approximately 15 students working backstage. Show times are 7 p.m. April 5 and 6, and p.m. April 7. Doors open at 6:15 p.m. April 5 and 6, and reopen at 1:15 p.m. for the show April 7. For more information about this year’s production, please contact Cheri Laughbaum at 419-468-6500 or email laughbaum.cheri@pioneerctc.edu.